Showing results by author "Fran Ferder"
By: Fr. 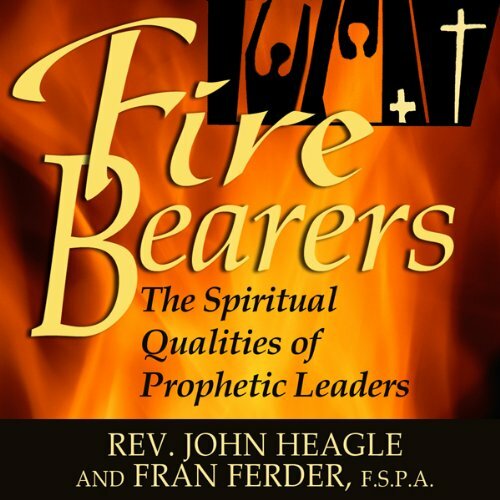 John Heagle, Sr. Fran Ferder F.S.P.A. Narrated by: Fr. John Heagle, Sr. Fran Ferder F.S.P.A. Dynamic, prophetic, spiritual leadership is essential for Christianity to have a strong voice in our secular society. Today's leaders must be "conscious disciples" by freely choosing an intentional way of life that fully embodies gospel qualities. As team presenters, Sr. Fran Ferder and Fr. John Heagle reflect on the qualities that transform hesitant followers into "fire-bearers" disciples with courage, compassion and charismatic leadership.